A better question might be, does it help at all? Honestly, probably not, and yet we do it anyways. Feeling sad? Shut down. Feeling hurt? Keep quiet. Feeling overwhelmed by chaotic happenings inside? Don’t share THAT. Anything but that. It used to be that many of us considered it a sign of strength if we were able to keep quiet about it. It also used to be that there weren’t many people willing to listen, try to understand, or even want to hear it. For many people, when they feel in crisis they pick up the phone and call or text a friend or a crisis line. For many of us with DID, that doesn’t happen. I’d be willing to bet that most of us with DID aren’t going to go far looking for support or help. People stop looking for help when they learned at a young age that help isn’t coming. I’m pretty confident that it’s a combination between a learned behavior and a feature of the disorder. The disorder is about staying quiet, diverting attention, and masking everything. For anyone who has experienced any kind of trauma, it’s often hard to reach out for help and/or support. Well-meaning people ask that absolutely ridiculous question “How can I help you?” For a lot of us, there’s no answer to that. If we knew, we’d probably have done it ourselves by now in order to keep from being a burden or a bother to anyone. See how that works? I can almost see heads nodding in agreement. Here’s the thing, when we isolate, we lose the right to be upset that no one’s there for us. Mostly because we aren’t available to anyone. When we isolate we become filled with nasty thoughts about how others are mistreating us and ignoring us. Those thoughts spiral and turn into bigger dark thoughts. We end up lost in the isolation and how it’s someone else’s fault for not reaching out. When we don’t isolate, when we make the effort to show up somewhere, somehow, suddenly there becomes a few people who want to be there for us. People who notice when we miss something. Who enjoy talking about random things. The bad thoughts get pushed back and it’s harder for them to take hold. The sense of community grows. Isolation doesn’t help us, it hurts us. I want to share. I want to share so badly. I just wrote and deleted an entire post because it was so clinical and impersonal. I basically wrote in general about a topic that has been touching us personally and I didn’t include our situation in it at all. That’s not what this space is for. That’s not how this works. We isolate from our friends and family when things are going badly inside. And by isolate, I mean that we don’t reach out. We don’t talk about the inside world, and we definitely don’t make any attempt to help anyone understand what it feels like for us. We are absolutely not going to reach out should we ever be in crisis. Our family is forced to guess. Even with our family, the people we have lived with for the last three years, we don’t go into many details and will often stop telling them who is front. With friends and acquaintances, we present pleasant and capable. We can hold that together for a few hours, especially because what we are doing/attending is a distraction from what is happening inside. Over the last month inside has been sad and chaotic, and very emotional. The shadows took over again and threw up a wall leaving Sabrina and Erica on their own. They are both very emotional and reactive, which ended up pushing Brina too far and she is now asleep for a long while. This was hard on the system as a whole because it’s not easy to adapt to losing a stronger sister. Brina’s actions caused intentional physical harm to the body and emotional harm to the family. That can’t be overlooked, but damn I miss her. This sort of thing is almost impossible to bring up in conversation with people outside of the family who already get it. It’s not a great conversation starter. Now that the hard stuff is behind us for a while (it will be back, it always comes in cycles) it seems like a good time to visit this. Question: How do people learn about DID and become support people if they don’t ever have real exposure to it? The right people will stay. And will learn and grow. The right people will help us learn about friends, relationships, and social skills. They will forgive our awkwardness and will learn from us just as we will learn from them. So being open is necessary. It’s the next chapter in our healing and growing. 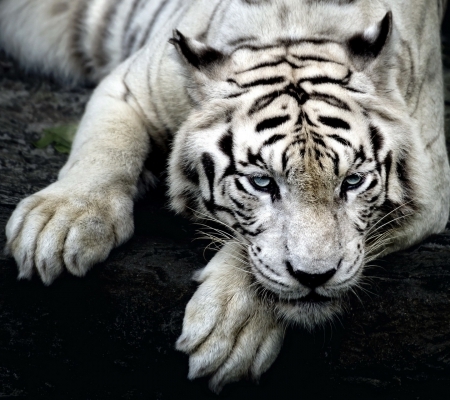 I wake up, its like 9:30am…..
At this point the chatter continues as I groan and roll over. I am now seeing ongoing flashbacks of some really messed up dreams from last night that I can no longer remember. I yell to Rhya to share the bathroom. The kids are dressed and say they have had breakfast. I duck into the shower. As soon as I step into the water a massive noise starts. “whats that? whys there noise? are we safe? is that reals noise? As I step out of the shower, the noise stops. Literally stops. “All little ones out of the front… everyone, except Alyssa, under the age of 13 goes to the resort…. NOW”. At this point I take a few minutes to go outside with Dad. I just stand out there in the garage with Dad and listen to him talk about Patty while he charges the AC. It feels calming and a bit normal to be out there, with someone safe, doing nothing, but feeling safe. I come back in because I need water and I toy with breakfast. But I feel bad about eating. I can’t get past that feeling and I can’t decide on what to eat. Common sense says to make a shake but the powder is expensive and I don’t want to use it all, plus, I want to actually eat something. I can’t eat cereal. All cereal will skyrocket blood sugar because it is all carbs and sugar and cereal has way too many bad memories associated with it. We are out of cheese sticks. So I decide to sit down and think about it. I decide to type out this account of my morning instead. The anxiety of it all, coupled with the pain in our ears, head, neck, and two small areas of sunburn, plus the body memories associated with pain in shoulders and neck, added to eating issues, makes today overwhelming and almost unbearable and all I’ve done is take a shower and sit here. Mom reminded me to stop picking at my face, and I’m pretty sure I was picking at my arm. I think I’m a skin picker when I’m overwhelmed. We were introduced to Mercy Me and K-LOVE radio about a year ago. Prior to moving to Colorado, we had a home church. We attended with some kind of regularity. The body’s children were baptized. We were baptized. We considered ourselves believers. And for the most part we belonged at the church, provided we kept “us” a secret and could at least somewhat pass as one of them. We were losing our desire to go to church after months of watching the perfectly dressed, always immaculate, always perfectly behaved children snub the rest of the kids who didn’t meet their standards. The adults seemed to have that same way of behaving. It made it hard to be true to ourselves and to take a relationship with Christ seriously when this was our example. And a relationship with Christ is what most of us were looking for. Religion. Relationship with Christ. That’s a hard one for a lot of us. Several of us don’t know how to feel about a God who would allow us a life of such hardship. Some of us are okay with that part, but how do we reconcile being unwelcome among God’s own people because there are 30+ of us in one body. As a group, we have all done things that are not at all in line with Christian values and we are as far from pure as anyone I’ve ever personally met. All of that makes it hard to pursue a relationship with Christ. We aren’t even welcome in churches. For the most part we had given up on all of that and considered it one more thing we don’t deserve and that’s outside of our grasp. Then comes K-LOVE. We had never heard of K-LOVE before moving in with Mama and Daddy in Colorado. Mama listens to K-LOVE almost all the time. It didn’t take long before we were singing along, whether we wanted to or not. Music creeps in and catches us easily. We all love music. After awhile we started paying attention to lyrics. It was then that we realized some of the artists were speaking to us clearly. Mercy Me, for example, continued to catch us off guard with songs like “Dear Younger Me” and “Flawless”. Those two songs in particular started to make us wonder if maybe there was a chance for us too. Danny Gokey’s “Hope in Front of Me” provided the first taste of hope for us. Not just a chance, but actual hope. Hope that God would want us too. And then, one day, came Sidewalk Prophets’ “Save My Life“. This song created a deep physical ache, and yet a blinding hope. So many of us who come from a trauma background find ourselves either completely shying away from religion, or desperately craving religion that we worry we don’t deserve. There seems to be a huge gap in churches when it comes to mental health. Guys, we can’t pray away our DID, our anxiety, our depression, our eating disorders, and our disordered thinking. We aren’t suffering all of this because we don’t believe strongly enough or pray hard enough. We are not being punished for some offense. We are survivors. We are surviving things done to us. We already feel dirty, broken, less than, worthless, and often hopeless. We don’t need the congregation of churches to shun us and make us feel any worse. We end up avoiding churches, congregations, and mass religion in general because the rejection became too much like confirmation of our worthlessness. But yet, so many of us felt (and still do feel) such a pull to Christ. We want that relationship. We do believe. We want to believe and yet are afraid to hope that maybe we are good enough. If Christ’s followers shun us, why would Christ want us? And that brings me back to K-LOVE, and Mercy Me… and Danny Gokey, and Sidewalk Prophets. At first we were just listening to K-LOVE in the car with Mama. Soon, little Olly refused to sleep unless “God music” was playing. That meant that our phone app had to be playing K-LOVE while we were falling asleep. The app has an annoying habit of turning itself off after 2 hours, which meant Olivia would wake up in a panic because her “God music” went away. So we started using the radio in our room instead, on K-LOVE, all night long. We owe our renewed and budding faith to the music. I don’t know that we are ready to jump back into a congregation, but I do know we are ready to to entertain the thought that maybe these lyrics quoted here might apply to us too. Quotes are lyrics from “Dear Younger Me” by Mercy Me and “Save My Life” by Sidewalk Prophets. They are not our words at all and are pieces of beautiful songs who just may have saved our life a time or two. That about sums it up…..
Carbs. 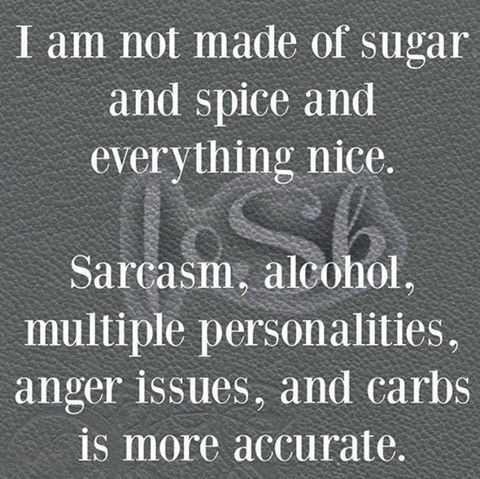 We’re mostly made up of multiple personalities and carbs. Lots of carbs. So lots has gone on. We moved. We left Denver and went west and it has been an amazing move. No move is without its challenges, and lets face it, we are pretty damn challenging. All in all though, its been an incredibly positive experience. Our walking is suffering but its been hard to find a routine and we are finding numbness in our right leg after 2 miles. So today I did one mile. Bella wants to get into a yoga routine. We like yoga, its fun. We’re also knitting and learning to garden. Jenna is so incredibly excited about our gardens. We have starter plants growing in the garage. Totally excited about having a successful garden. Its a lot easier to garden since we are down 40lbs too. Still more to go but a great start. The flabby skin on our arms makes the body look 80 years old. The thighs too but that part we don’t care about because pants hide that. The arms are tough for us but we’ll figure that out somehow and at some point. Pictures will be coming of our garden experience.